If you would like to extend your warranty beyond your manufacturer's standard period we are happy to make our Care Plan warranties available. These excellent products are provided by one of the leading specialists, and are designed to give you full peace of mind. Should you need any further advice just call us on 01244 402975 and we will talk you through the ins and outs. Who do I call if I want my product repaired? Call the number provided on the Care Plan terms and conditions – 0333 043 6695. What does a Care Plan protect my product against? Your product is protected against mechanical or electrical failure which results in the sudden stoppage of the product’s normal functions and which necessitates repair to resume those functions. No, we only take the payments in full. Can I renew when my Care Plan ends? We may contact you when your Care Plan is coming to an end. Please contact us on 0333 043 6695 if you wish to renew but have not received any information from us about renewing. How long after buying a product do I have to take out a Care Plan? We can offer a Care Plan at any time providing the product is still within its manufacturer’s warranty period and is in fully functioning condition. Why do I need a Care Plan when I have a manufacturer's guarantee? Care Plan protects your product against mechanical or electrical failure once your manufacture warranty has expired and includes all parts, labour and callout charges. If your product is unrepairable we will deliver a new one of similar specification free of charge. Aren't items already covered under my home insurance? This question depends entirely on the terms of your home insurance. Care Plan is a repair/replacement service agreement and not a policy of insurance. We do NOT cover for loss or theft. In general, home insurance will cover theft and mishap but not mechanical breakdown. Also there is usually an excess charge on a home insurance to any claims made. We do NOT charge any excess on any of the benefits of our plans. Your Statutory Rights will not be affected when you buy a Care Plan from rangecookers.co.uk. These rights include the right to claim a refund, repair, or replacement for up to six years if your electrical goods were not of satisfactory quality or fit for purpose when they were sold to you. You can find advice on those rights from the Citizens Advice Bureau. Extended Warranties may be available from other providers. You may also be covered under your household contents insurance or other policies that you may hold. 3. When can I buy a Care Plan from rangecookers.co.uk? 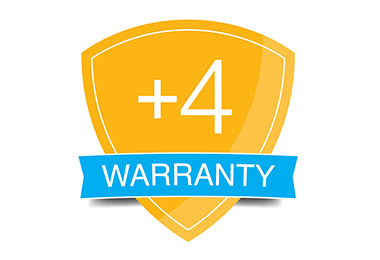 An extended warranty does not have to be purchased at the same time as an electrical product. You can buy an extended warranty at any time prior to the expiry of your manufacturers guarantee. We hope you are happy with your Care Plan however, if after reading this the terms and conditions it does not meet with your requirements or you have simply changed your mind, please return this document to us within 45 days of purchase. We will arrange to cancel your Care Plan and will issue a full refund subject to no repairs or replacements being recorded. You may cancel your Care Plan at any time after the initial 45 days and you will be provided with a refund subject to no repairs or replacements being recorded. The refund will be calculated pro rata on the number of days remaining of your Care Plan period. Your Care Plan will end if we replace your product. Download the Care Plan terms and conditions HERE.